The representative of the Polisario in Australia Mr. Kamal Fadel was invited by the Politics Society at the University of Sydney on 5 May 2008 to give a talk on Western Sahara: The talk was attended by a large group of students and the Australian public. The talk was under the title: Western Sahara: The last colony in Africa, the role of the UN in decolonisation and conflict resolution. This entry was posted in Political issues on May 27, 2008 by appleton. On May 25, a Turkish owned ship called the Cake is due at Lyttleton harbour, and similar port records show the same ship is due in Napier between 3-5 June. On both occasions, the Cake will be unloading a cargo of phosphates that originated in the Western Sahara region of North Africa. This is a highly dubious trade, in seeming violation of the UN Charter. This entry was posted in Phosphate importation on May 25, 2008 by appleton. This entry was posted in Human Rights, Political issues on May 11, 2008 by appleton. Following the revelations in New Zealand media that the fishing company Sealord is involved in marketing fish from occupied Western Sahara, the Maori Party has now released a statement. Sealord is half Maori owned. Read their statement here. This entry was posted in Fisheries exploitation, Political issues on May 11, 2008 by appleton. 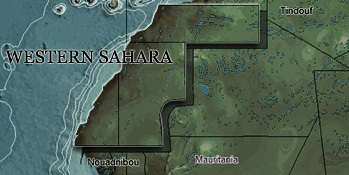 New Zealand, a country which already is a main ally to Morocco in buying the phosphates from the occupied Western Sahara, now also proves to be involved in the distribution of the territory’s fish resources. 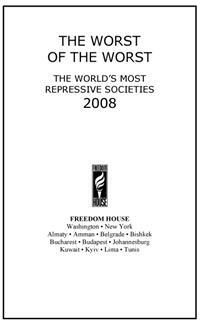 7 May 2008 A prominent human rights group has again denounced the Moroccan occupation of Western Sahara as one of the ‘most repressive’ situations in the world today.The U.S.-based human rights watchdog Freedom House yesterday released its annual report on the world’s most authoritarian regimes and gravest human rights situations.Titled Worst of the Worst: The World’s Most Repressive Societies 2008, the report classified Morocco’s presence in Western Sahara alongside more well-known human rights catastrophes like China, Saudi Arabia and Zimbabwe. New York, May 8, 2008) – Citing “lack of evidence,” Moroccan authorities closed an investigation into police abuse allegations made by two human rights defenders whose testimony the prosecutor refused to solicit, Human Rights Watch said today. New Zealand’s biggest fishing company is being criticised by a European human rights group for operating in disputed waters off Africa. The Western Saharan Resource Watch human rights group says Sealord owns shares in the company Europacifico, which processes fish caught by a Moroccan company in waters off Western Sahara. This entry was posted in Phosphate importation, Political issues on May 11, 2008 by appleton. “Accepting a phosphate rock shipment from Moroccan authorities in the occupied Western Sahara is a serious violation of fundamental ethical norms and international law. It gives the impression of political legitimacy to a brutal occupation, and undermines the UN peace process to find a solution to the conflict. Please put further importations on hold until the conflict in Western Sahara is settled”, Cate Lewis wrote in a letter to the company on behalf of AWSA on 6 May. This entry was posted in Phosphate importation, Political issues on May 9, 2008 by appleton. Spain’s first Oscar-winning actor, Javier Bardem (photo, is leading a campaign to restore peace and freedom to those living in the Western Sahara, who have spent the last 33 years in refugee camps after the Franco regime handed over sovereignty to Morocco and Mauritania. This entry was posted in Human Rights, Political issues on May 9, 2008 by appleton.